Check out our latest Hama Bead project. Say hello to Ligntning McQueen, the star of Disney Pixar’s films Cars and Cars 2. 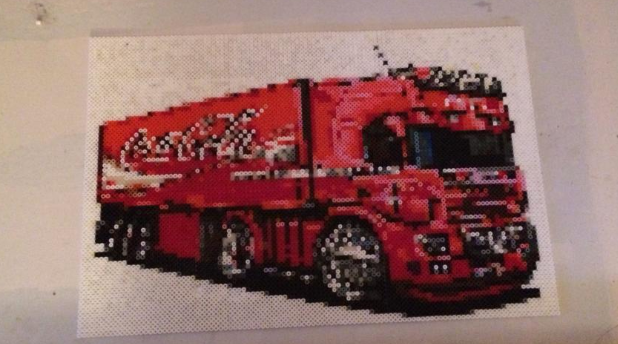 This took approximately 7,500 beads on 8 peg boards and 4 days of hard slog – but it was worth it. Happy Halloween everyone from Lizzie. 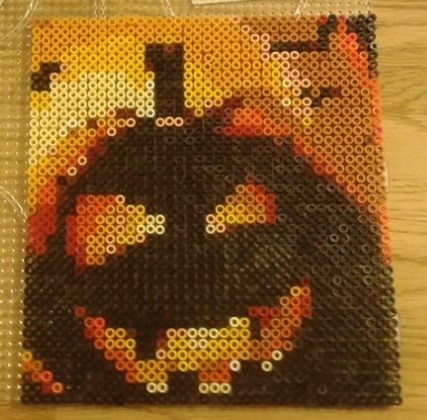 We hope you enjoy making this slightly dark, but unique pumpkin hama bead pattern. What you require to make our pumpkin out of Hama Beads. Colours required – Here is a list of the colours you will require to make this Halloween Pumpkin and the part number of the individual coloured packs. It’s well known in the UK that Christmas starts as soon as the Coca Cola Lorry appears on our TV screens. Here is an amazing design from one of our admin’s Lucy who has created this for her dad! 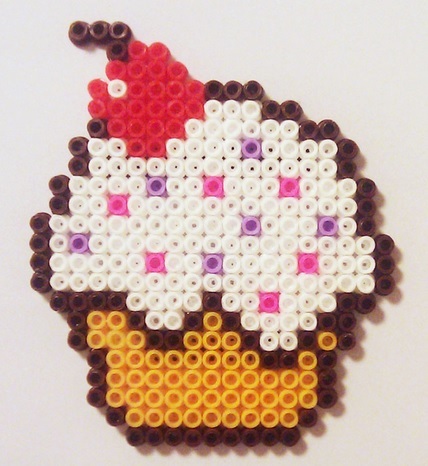 This looks so good to eat… and to have a cupcake business aseems to be the in thing, so why not make your friend a cupcake out of Hama. Sure they will not enjoy the taste, but they won’t put on the calories! What you require to make the Cupcake Pattern. Colours required – Here is a list of the colours you will require to make this Cupcake Pattern and the part number of the individual coloured (1,000) packs. What a fantastic way to add a little bit of personality to an old picture frame. 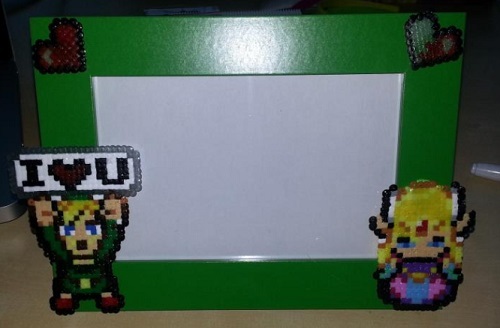 The Zelda picture frame came from one of our Facebook Followers and we just had to share it with you. What you require to make a Hama Bead Picture Frame. Find an old picture frame (please ask permission before you start) and perhaps paint it, so it looks fresh. Then superglue your favourite Hama Bead Designs to it. This would make a lovely present for a loved one. Why not make the complete picture frame from Hama Beads. Take a small square Hama Bead pegboard and passport photo. Lay the passport photo on the peg board to get an idea of where you need to start beading. Add beads in any design you desire. Use string or thread to act as the picture wire, and then hang in your room.